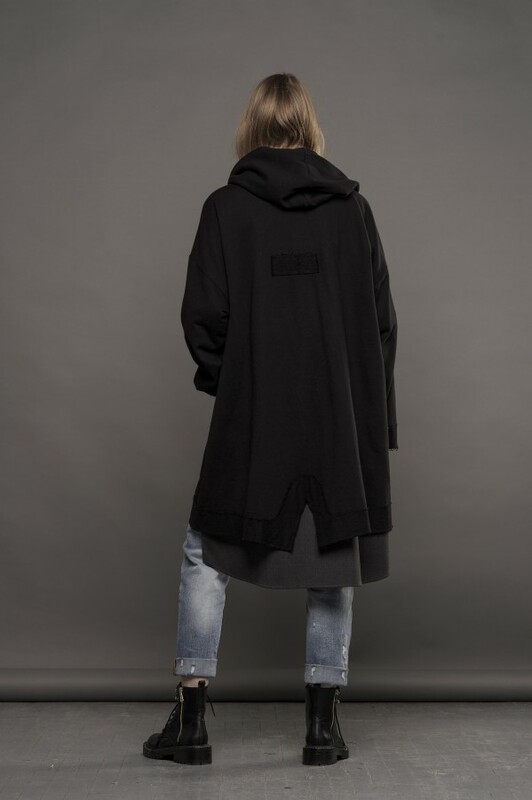 This piece masters cool, off-duty aesthetics. 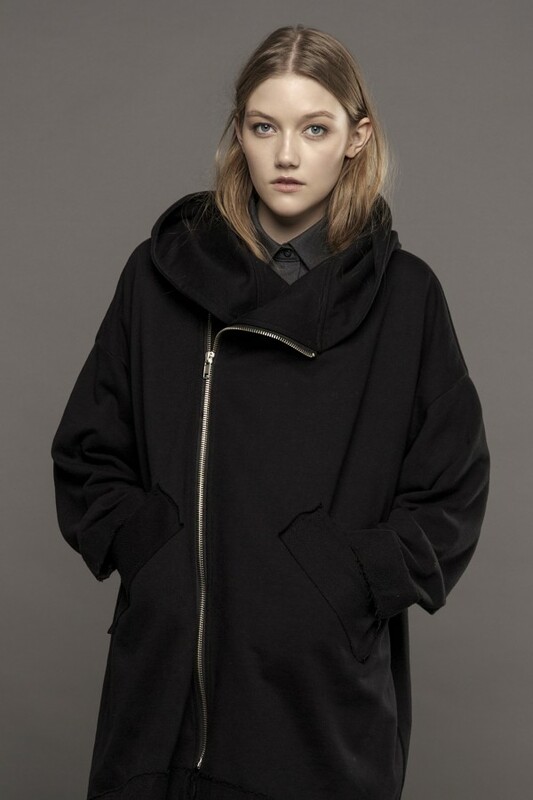 Made from soft cotton this oversized sweatshirt is complete with hood, asymmetric zipper and wide front pockets. 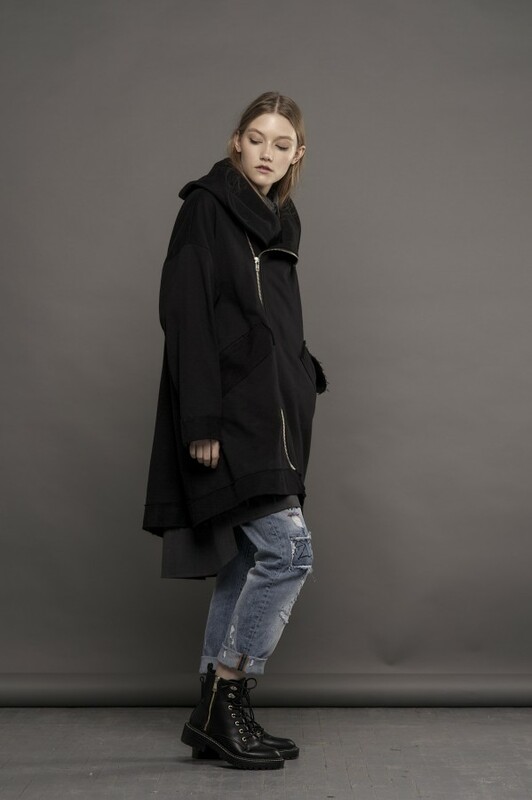 Continue the grunge vibe with an asymmetric dress and sneakers. Tailoring of this garment can take 1-2 weeks.